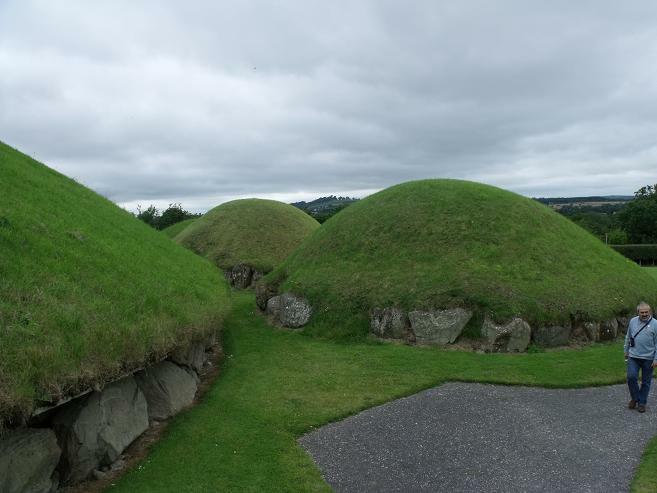 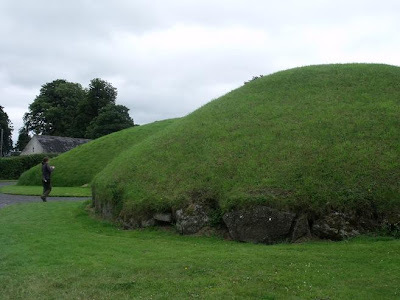 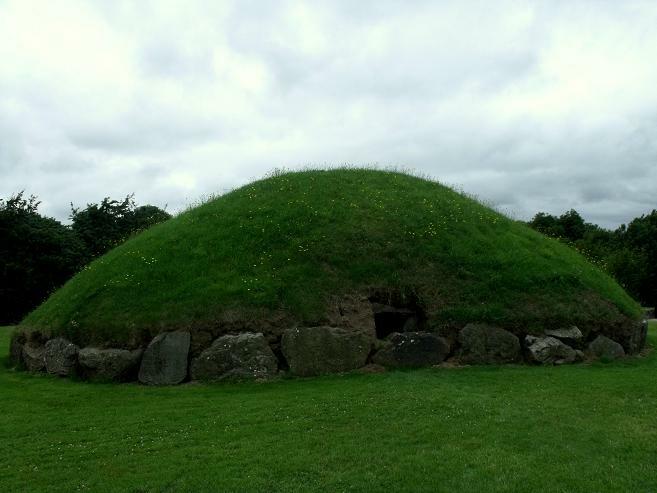 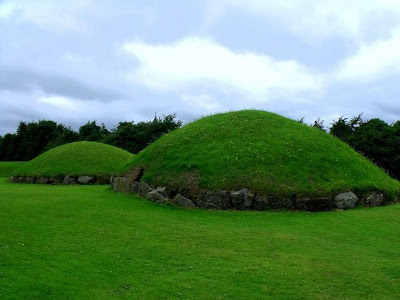 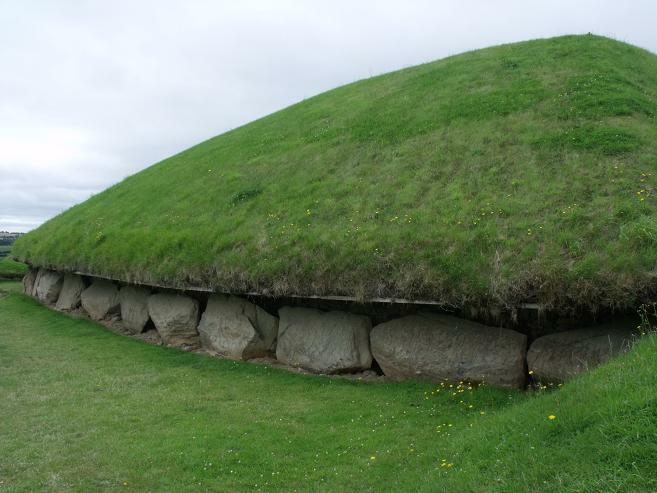 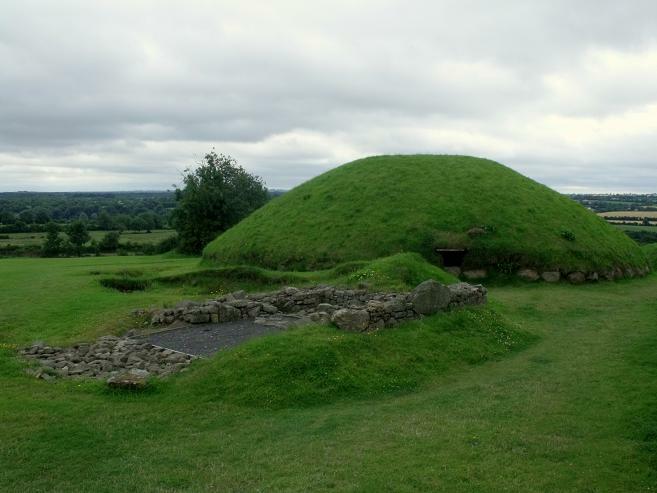 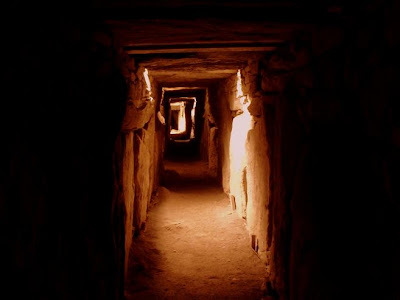 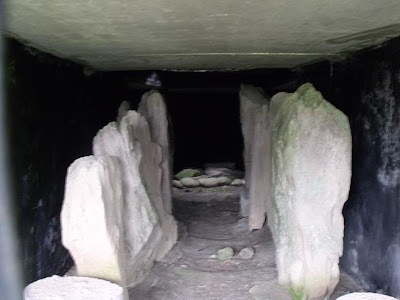 Knowth is less well known than Newgrange but in my opinion its way cooler for a number of reasons, the main mound is larger than Newgrange, it has two passages, it has 17 satellite tombs and it has one third of all Megalithic stone sculpture in Europe. There are 127 sculpted kerbstones around the base, overall about 200 sculpted stones on the site. 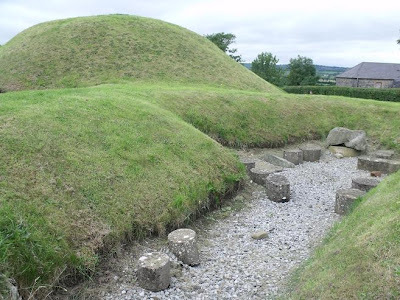 By the Iron age the mound had collapsed over the kerbstones and the site was used ias a graveyard. When the Normans came the site was used as by the monks of Melifont abbey, hence the walkway up to the top of the carn. 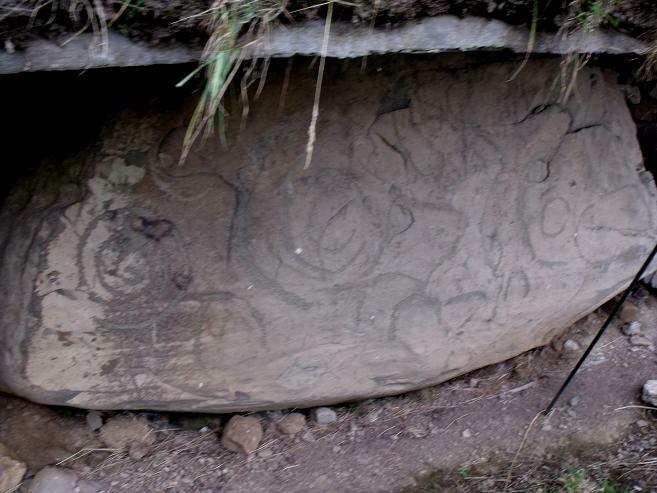 One of the passages from one of the satellite passage graves, with a new ceiling. The Entrance to the western passage of the main site. 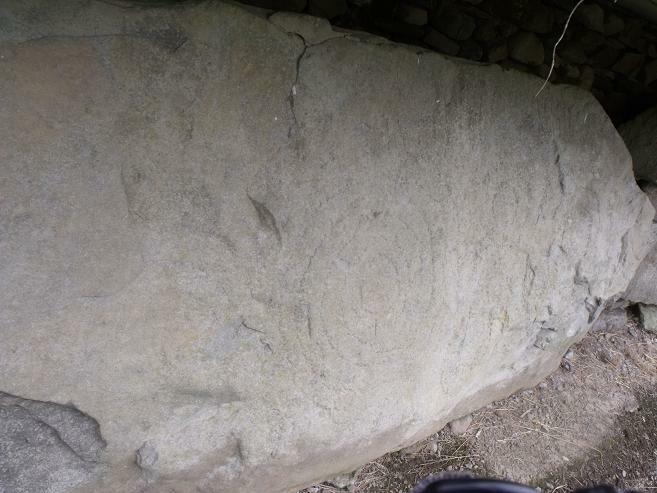 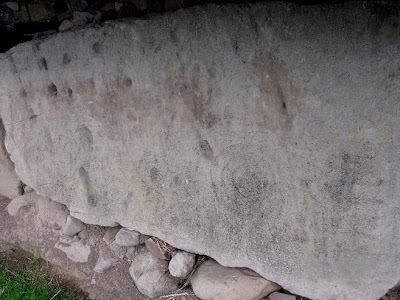 Some of the kerbstones that came out clear, some think that some of the stones are calendar stones and lunar charts. 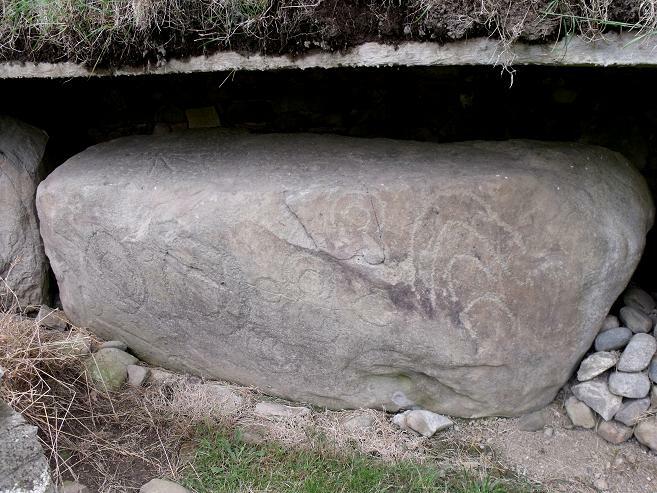 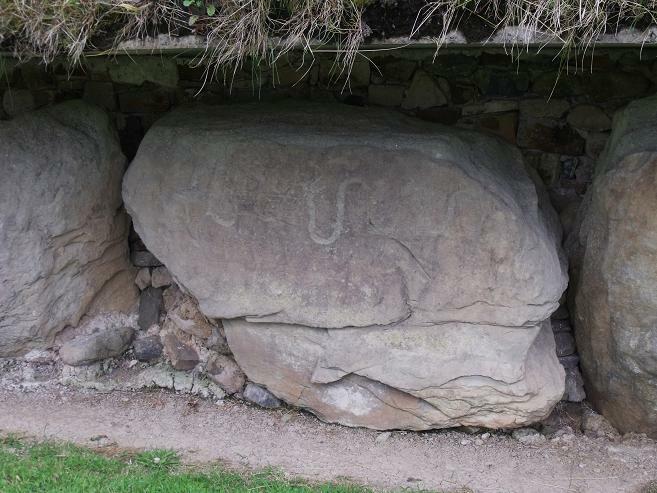 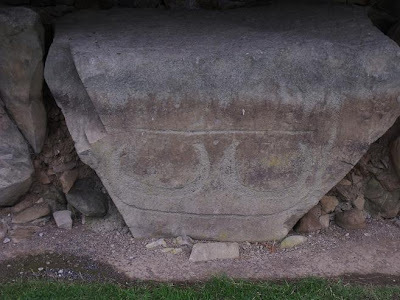 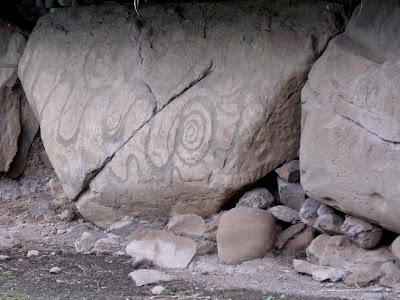 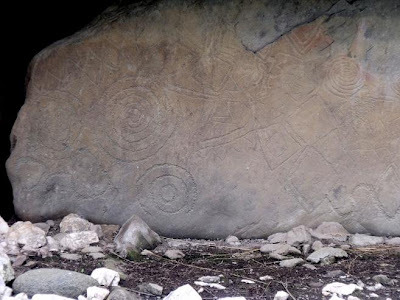 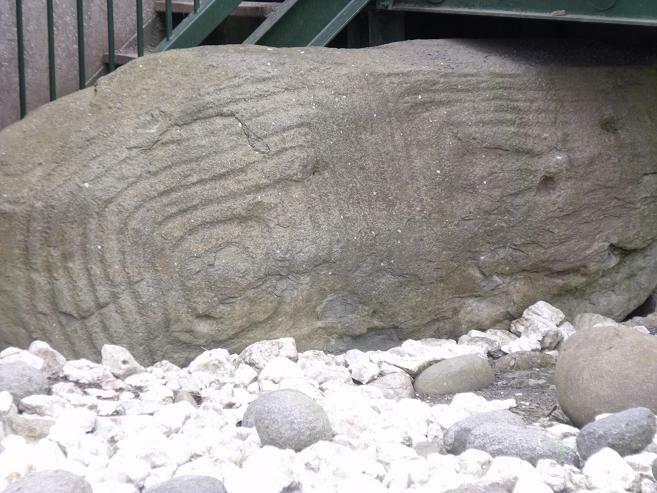 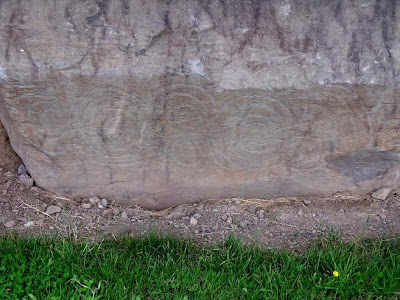 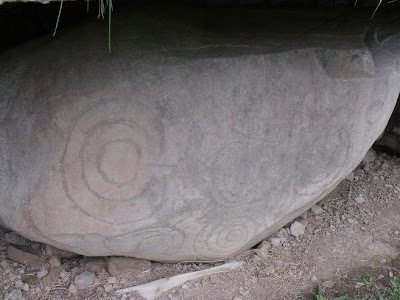 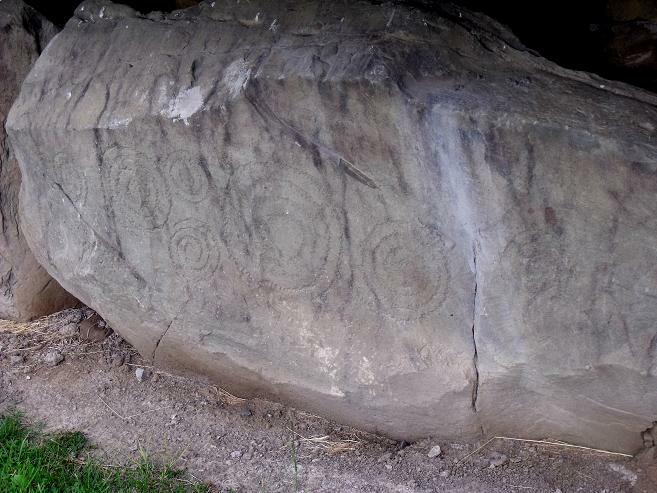 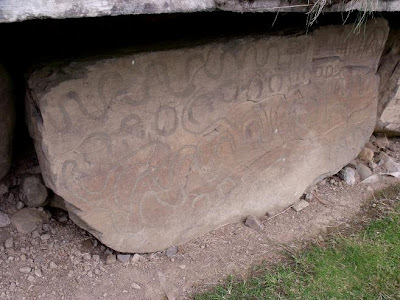 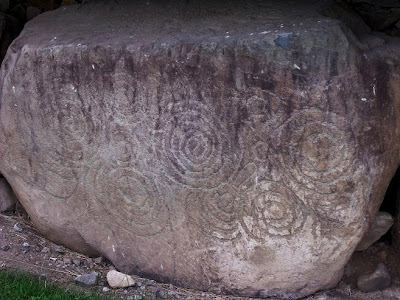 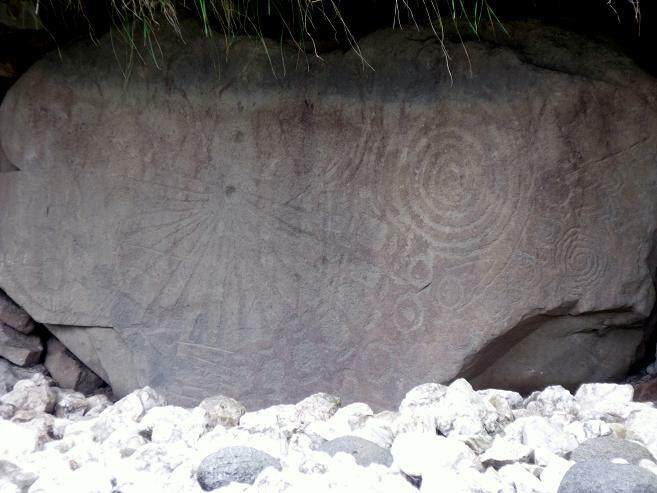 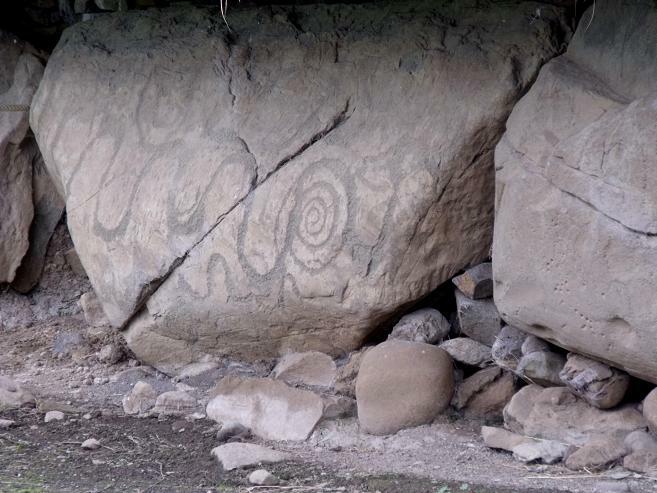 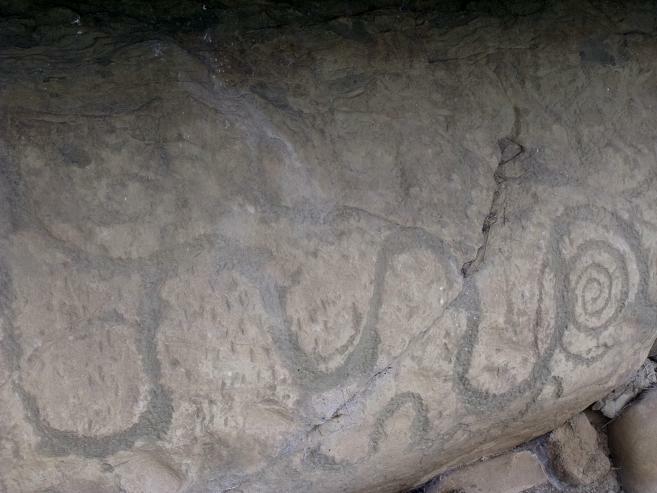 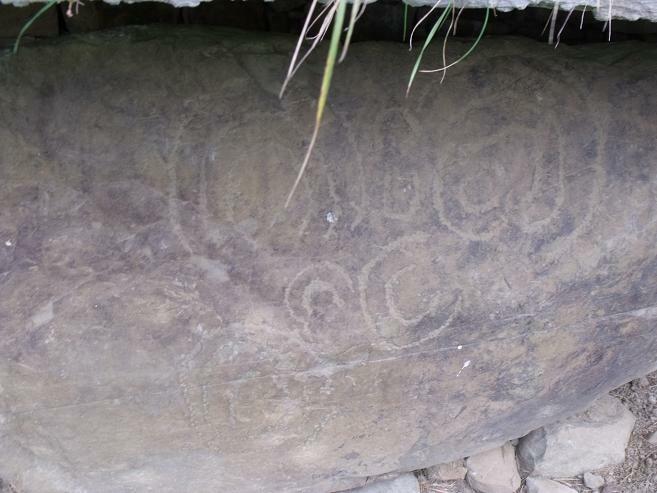 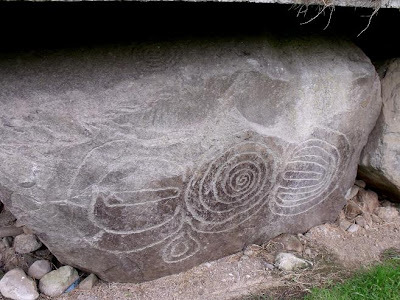 Though there are many theories on the meaning, it is a mostly stylised art form and Irelands Boyne valley has three quarters of megalithic art in Europe. 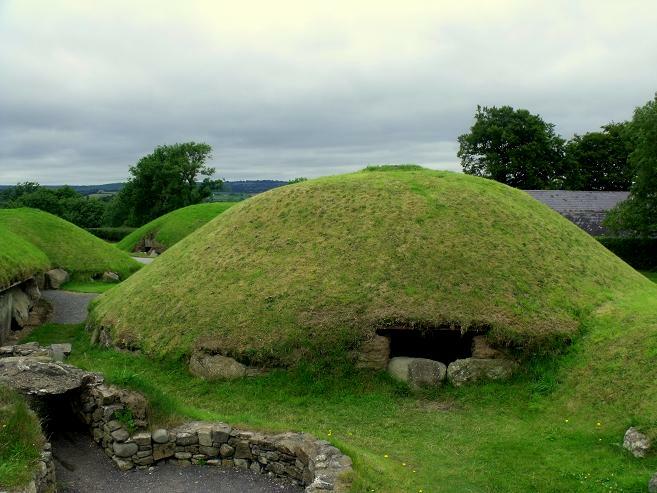 Amazing structures. 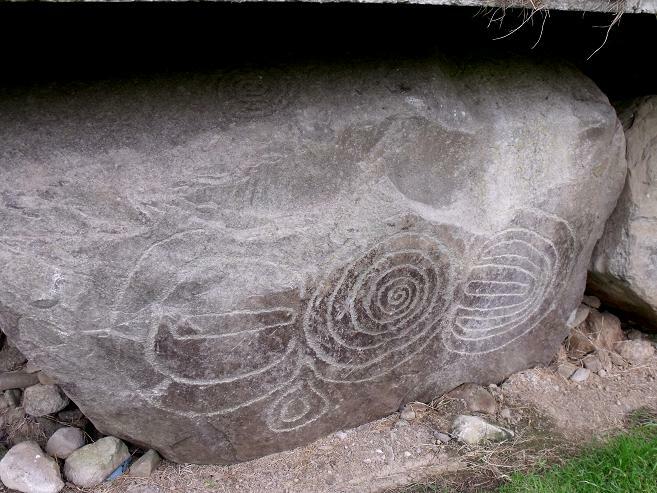 All I can think of is Aliens when I see them and the stone drawings. 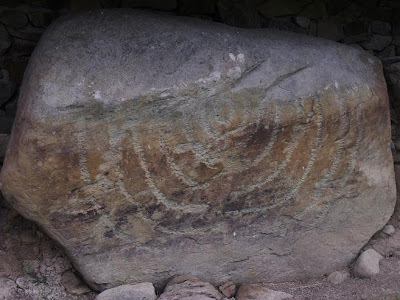 Well all that the experts have are theories, there is nothing that can be proven either way and different historical experts have different ideas on the stone carvings. 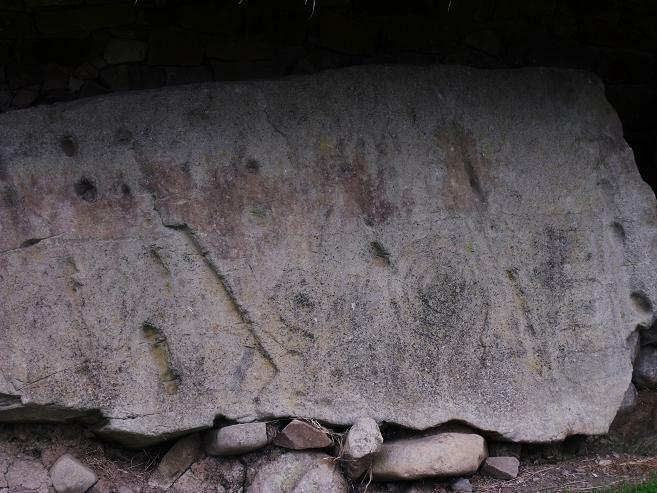 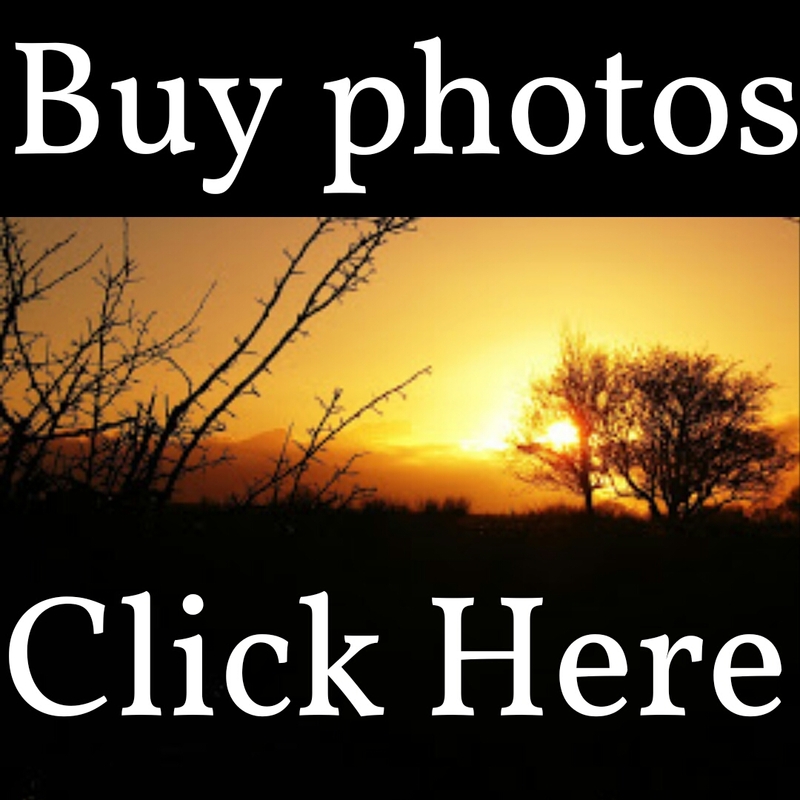 But as one of the guides said to us, what you believe is as valid as what the experts believe. 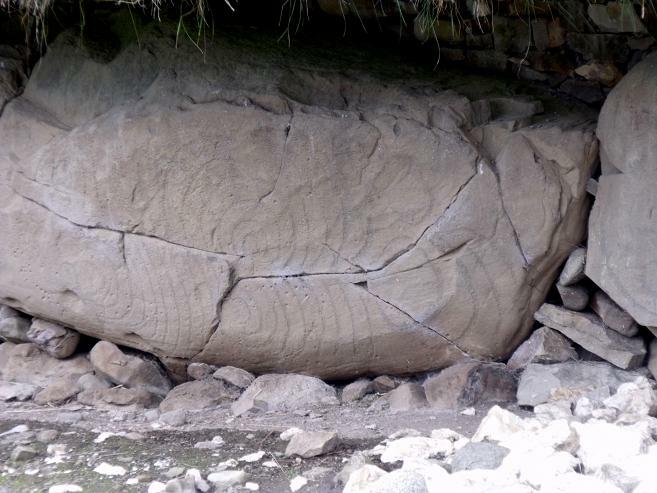 I agree by the way, they are amazing structures. 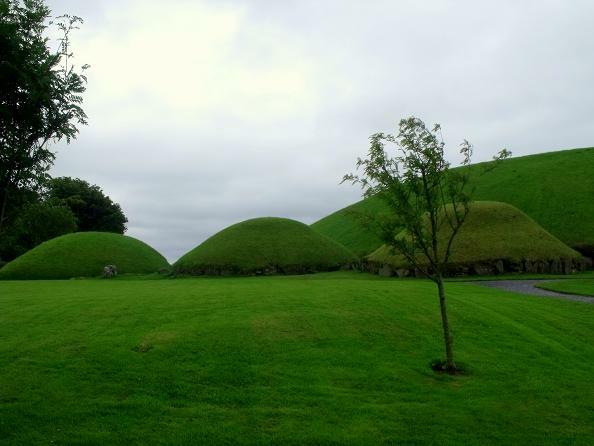 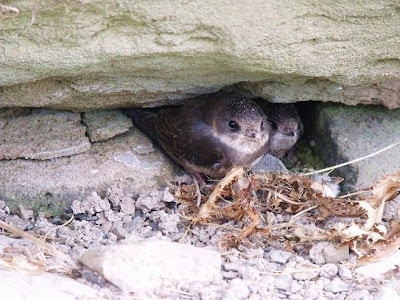 Love the deep colour in the green grassy mounds, so sensual, and the baby birds, so cute and resourceful! 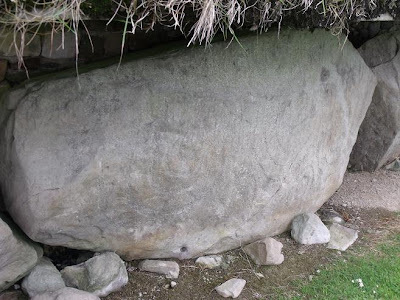 Also, I totally agree that quite often the best sites are the ones that don't make it to the number one spot in the charts. 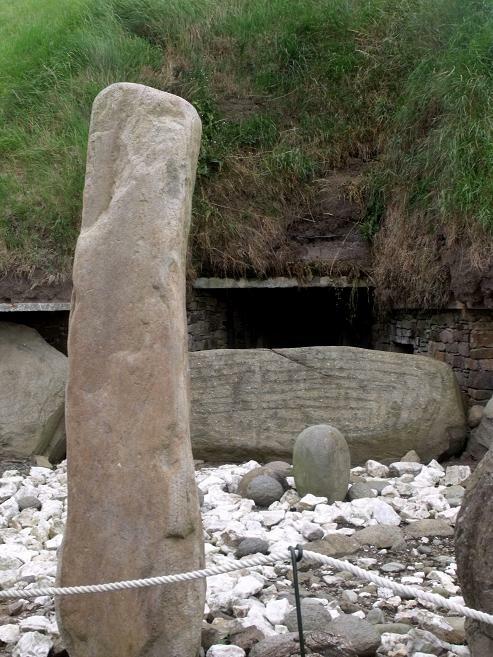 Why go to the cliffs of Moher when the cliffs at Belderg are way more impressive, and completely void of tourists, 'Danny Boy' and hot dogs. 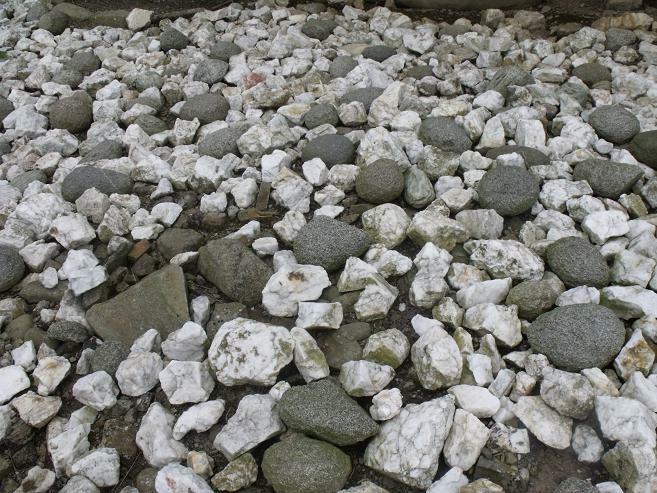 Lovely stuff mate. 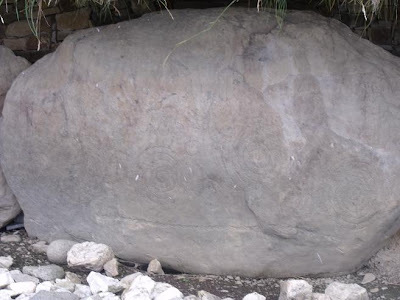 keep it coming!